Helen Lambert, the ESRC AMR Research Champion, is a social anthropologist at the University of Bristol School of Social and Community Medicine, who has done a vast range of health-related qualitative research. Her research interests include the application of anthropology to public health research and evaluation; lay perceptions of illness and health-seeking practices in India and the UK; indigenous therapeutic traditions in South Asia; HIV and sexual health; people’s understandings of suicide; lay perceptions of risk; and notions of evidence in medicine, epidemiology and anthropology. The global health problem of drug-resistant infections has been identified as a key issue for the UK, and the threat posed has been likened to terrorism or global warming. To date, many of the proposed solutions have focused on new technologies, such as the £10 million Longitude prize to develop a new diagnostic test for bacterial infections. Yet the phenomenon of antimicrobial resistance is largely a consequence of human action, and both its drivers and its consequences are socially patterned. In high-income settings such as the UK for example, social science research has revealed the complex processes that influence clinician decision-making around prescription of antibiotics. Qualitative research conducted by my colleagues in the infections team at Bristol University on the perceptions and practices of GPs and parents seeking treatment for children’s respiratory infections, shows that doctors often prescribe antibiotics in the belief that their patients expect them, while parents in the main are simply seeking reassurance. These studies indicate that prescribing antibiotics occurs, at least in part, because both parties are trying to reduce the perceived risks of harm associated with failing to prescribe them in cases of serious illness. For doctors, the small risk of mis-diagnosing a seriously unwell child has major adverse reputational and potentially legal consequences. For parents, the potential negative social as well as health consequences of not seeking healthcare for their ill child outweighs the individually insignificant risk of over-treatment. Differences in how clinical and lay communities understand infections and drug resistance, as well as subtle misunderstandings of meaning between doctors and patients, can hinder effective communication about these issues. From my experience of conducting anthropological research in India over many years, I know that the realities of antibiotic use in low- and middle-income settings are also determined less by clinical necessity than by complex social, cultural and economic influences. Antibiotics can readily be bought over the counter without prescription, and out-of-pocket expenses account for 80 per cent of all health care costs, which means there is both over- and under-treatment of infections. If new rapid diagnostic tests for use at the point of care do come on the market in such an environment, they will most likely be taken up selectively by private facilities serving wealthier patients who can bear the cost of the tests. In turn the use of such tests may simply provide further grounds for offering novel treatment with the latest high-end antibiotics – a trend found in private hospitals that, according to Dr Abdul Ghafur, is a key driver for antibiotic resistance in India. Poorer patients, meanwhile, will still have to rely on underfunded government health facilities where cost will prohibit use of rapid diagnostic tests and only a limited range of increasingly ineffective antibiotics are provided – or on private practitioners who offer demand-driven, symptom-based treatment and often rely on pharmaceutical sales representatives as their main source of medical information. In this scenario, new technologies such as point-of-care tests to establish the identity of the disease-causing pathogen are unlikely to have much effect on the rise of AMR. The selective availability of such tests may even widen health inequities, by making access to appropriate and effective treatment for bacterial infections even more dependent on families’ financial means. My own discipline of social anthropology has long been recognised as centrally concerned with translation – that is, with the attempt to render knowledge and practices that are self-evident within one culture explicable within the terms of another. Thus anthropological insights have obvious potential in relation to ‘translation’ as a metaphor for rendering research results within one disciplinary field utilisable elsewhere. As the example of rapid diagnostic tests for limiting AMR suggests, social science research offers possibilities for gaining insight into possible ‘sticking points’ in translational pathways between new scientific developments and real people’s lives. It can also shed light on how far scientific knowledge can be deliberately formulated to ‘travel’ beyond its initial community of discovery, including by considering how language itself can not only facilitate but also sometimes limit new discovery and understanding. I have taken on the role of ESRC AMR Research Champion in order to advocate the involvement of social scientists in this field, and over the next year I will be reaching out to researchers in a wide range of social science disciplines. Some have already taken up the call to arms. In the next 12 months I will be inviting colleagues across the social sciences to post to this blog and to help compile accessible research briefings on the state of play in their field that will be made freely available on our AMR Research Champion at University of Bristol website. I will be looking for ways to forge links between social scientists and biomedical and life scientists, so that together they can find effective ways to address the challenge of drug-resistant microbes. I believe that social science research is a crucial component in this endeavour. 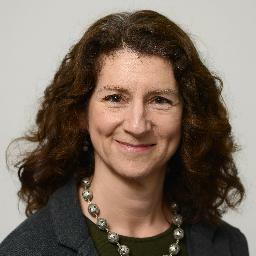 You can follow Helen Lambert on Twitter @HelenSLambert.